Submit site is most of the important part of SEO. If you want to increase your SEO ranking and index your blog posts fast, then you must need to submit your sitemap in Google or Bing webmaster tools. As we know we can’t submit sitemap in Yahoo, because they remove the site explore option on November 2011. I saw some people submit their sitemap with wrong ways and who do it, they obviously facing too many problem about website. Problems like no visitors decrease SEO, not indexing blog pages, lost page rank, search engine position and many more. So today I decided to create a new post about how to submit sitemap with correct ways. It’s too easy for beginner, you just need to try. Firstly you need to visit Google webmaster tools and log in with your Gmail address. After the site complete loading, click the add site option (right side). Type your website link. Example: www.yourdomain.com and click continue button. Now you can see the verification page. Choose HTML tag option for verify your site. They will give you a code, copy it. Now log in your blogger account and go to Edit HTML tab. Paste the code after the <head> Tag. Now save your template and click the verify button in Google webmaster tools. Now your site is successfully verified. Time to submit site link in Google webmaster tools. Click crawl menu (left side of Google webmaster tools) and choose sitemaps option. Click Add/Test Sitemap menu (Red colour – Right side when you click sitemaps). Now follow all steps below. Hurray, you successfully did submitting your sitemap. Wait at least 2-3 days for crawl your whole page in search engine. Now I will show you the easiest way to submit your sitemap in Bing webmaster tools. Because Bing is also a most popular search engine like Google. You will get too many web traffic from Bing search engine, if you successful to put your site link there. I've seen some people submit their website in webmaster tools, but they got some crawl errors. 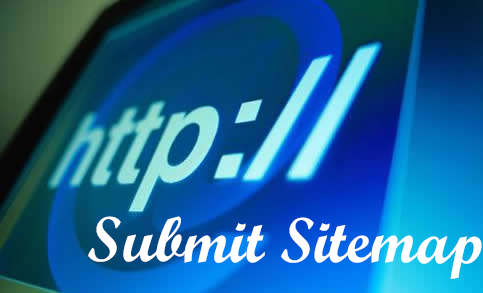 So I will share the error free ways to submit sitemap. Let’s learn. Firstly you need a live or Hotmail account for log in. If you have no, you can create an account. Go to Bing webmaster tools and sign in with your email address. Now you need to complete your webmaster profiles. Then you can see 3 different options to verify your website. Choose option 2. Now copy the Meta tag and paste it below <head> tag in blogger. Save your blogger template and verify your website in Bing. You will see verification complete. We are successful to submit our website in Bing webmaster tools. Now this is the time for submit your blog sitemap. If you have less than 500 posts in your blog, then copy the code. If you have less than 1000 posts in your blog, then copy the code. If you have less than 1500 posts in your blog, then copy the code. You must need to change the site URL. Now paste only one code in your new browser tab and hit enter. You will see a message like this, Thanks for submitting your sitemap. You don't need to submit sitemap for yahoo. When you finish the bing webmaster steps, your site will appear in yahoo search engine. You must need at least 5 days after submitting sitemap in bing webmaster tools. You blog must need at least 15 blog posts. I see lots of articles that talk on the producer to submit sitemap to Google and Bing webmaster tool but your article is on the top. You put the whole scenario to submit a sitemap. Submission of the site map is so important for the site and surely I will also go for it.